Imagine you had a room filled with 500 people, And everyone of those 500 people in the room are HR professionals from various companies. Who wanted to hire you. “Tell us something about yourself” to get yourself hired. If you said the right thing, you would get all of them begging you to join their company, Yes all. If you said the wrong thing, all of them down to the last one would walk away from the room without offering you any job. What Is The Purpose Of Behavioral Questions In Interviews? As human beings we are just a mere collection of our thoughts and ideas. These thoughts and ideas then form the basis of our daily habits and in the end these habits drive our daily life 99% of the time. And that too on an auto pilot. [Maxwell Maltz “Psycho-cybertactics”]. The whole purpose of behavioral questions is to, get a glimpse of our internal thought processes and mental habits which we have developed over the years. Are you curious to find out that how important role these behavioral questions play in your selection? 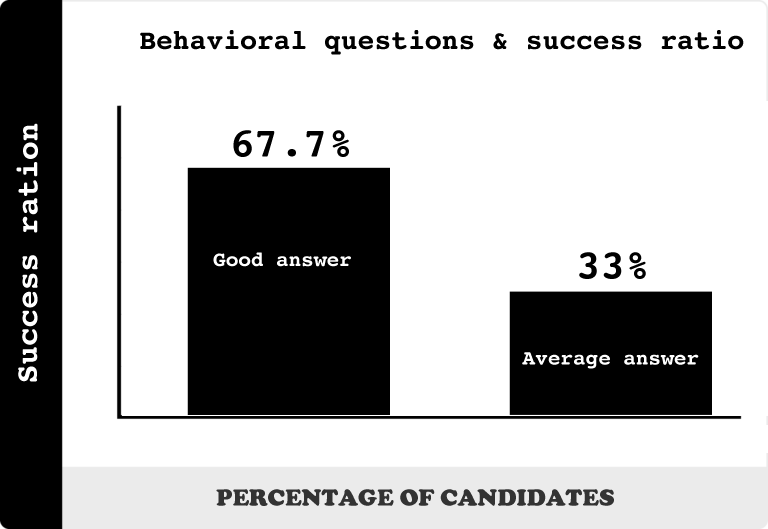 It is obvious from the graph above that, candidates who are able to give a satisfactory answers to behavioral questions has double the chances of getting hired. Why every interviewer is interested in to know about your inner state of mind? after all what it has to do with your job. Why do some people proceed very well in their career while others fail? In fact, when you start looking into it, your talent and your intelligence don’t play nearly as big of a role as you might think. The research studies say that intelligence only accounts for 30% of your achievement — and that’s at the extreme upper end. Research is starting to reveal that your mental toughness — or “grit” as they call it — plays a more important role than anything else for achieving your goals in career, health, business, and life. That’s good news because you can’t do much about the genes you were born with, but you can do a lot to develop mental toughness. And that is the main reason interviewers are interested to know about your mental toughness and personality more then your technical skills. Good until now you have understood the purpose of behavioral questions and how it servers a greater role in your selections and career progression. Now is the time to learn about how to answer them. I am not here at this very moment, to tell you one specific answer to this question. I am here to introduce you the power of context and how you will formulate your answer based on it. Yes your answer to all these behavioral question does not mean anything for the interviewer, there is no right or wrong answer either, they are just meant to get a glimpse of certain aspects of your personality. In order to give a meaningful answer. All you need is understand the context of the question. Yes that is the exact purpose of this article, to tell you about context. But you need to hold on for a second. As human beings we are just a mere collection of our thoughts and ideas. These thoughts and ideas then form the basis of our daily habits and in the end these habits drive our daily life 99% of the time. And that too on an auto pilot. This is explained very nicely by Maxwell Maltz in his book “Psycho-cybertactics”. The whole purpose of these behavioral questions then is, just to get a glimpse of these thoughts and habits you have developed over the years. So context is merely the purpose of the question. Simply put. Can we simplify the Context? Your answer: I mostly stay away from these kind of situations and try to stay quiet. CONTEXT in the mind of interviewer: Can he go along with other developers in the team,in case if there are any conflicts about a solution. In this case your answer will be acceptable for the manager. Now you are thinking, then what should be ideal answer in first job? Your ideal answer for “Customer support engineer” should be something like this. Now you don’t need to be a rocket scientist to understand that interviewer will actually be very very satisfied with your answer Why ? Simply because your answer is 100% aligned with the context of the question. And if your answer is more aligned to the context of the questions, It will create a more positive impact on the interviewer. If you have any questions or need some help with your upcoming interview. Feel free to contact me. 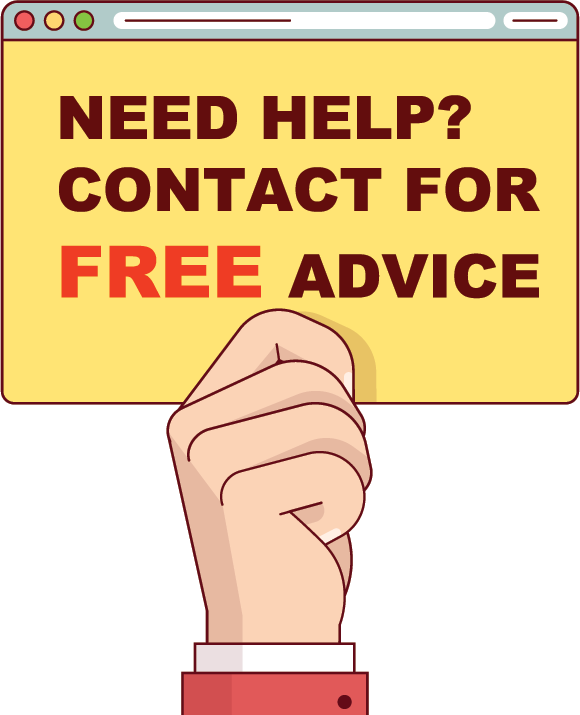 I will make sure to help you in the best possible way.